Dr Siva Vasudavan is our Orthodontist-in-Chief and is qualified as a Specialist Orthodontist. As his office wall attests, he has undertaken more than 10 years advanced clinical training at world class tertiary institutions. Dr Siva grew up in Perth, and attended Willetton and Rossmoyne Senior High Schools. He is a graduate of the UWA School of Dentistry. He then worked for several years as a full-time Registrar in Paediatric Dentistry with Dr John Winters, at Princess Margaret Hospital, where he was enrolled in the Postgraduate Diploma of Child Health and Advanced Paediatric Life Support Programs. 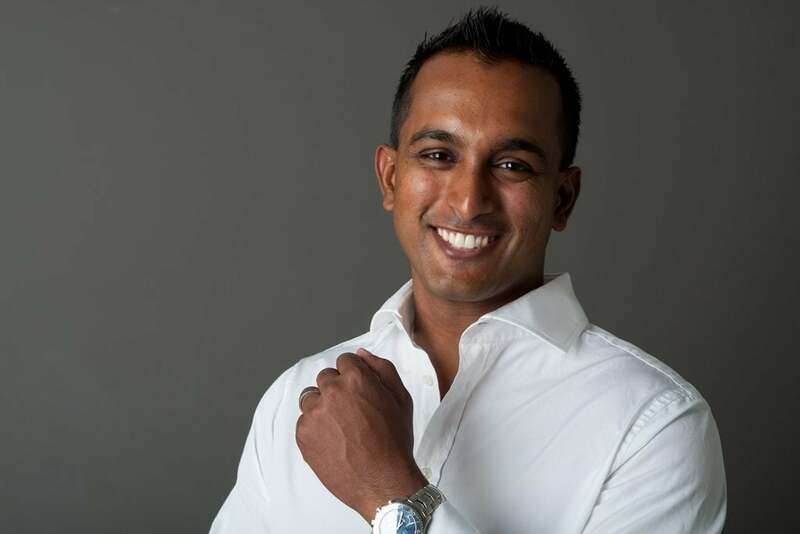 Dr Siva was then accepted into the prestigious Specialist Orthodontic Training Program at the University of Sydney under the world reknowned Professor M. Ali Darendeliler, with clinical training completed at the Sydney Dental Hospital and at Westmead Hospital. After completing the rigorous, three year full-time Specialist training program in orthodontics at the University of Sydney, he graduated with a Master of Dental Science (Orthodontics) Degree in 2006. The Department of Orthodontics at the University of Sydney is universally regarded as the premier centre for specialist orthodontic training in Australasia, and has contributed to nearly two hundred publications in the peer-reviewed literature. Dr Siva was selected as the inaugural Fellow in the Craniofacial and Cleft Lip and Palate Orthodontics program at Harvard University, and Boston Children’s Hospital, in Massachusetts, USA. Dr Siva had the opportunity to work with and learn from the world leaders of the sub-speciality area of Craniofacial and Cleft Lip/Palate care: Drs Stephen Shusterman, Richard Bruun, Andrew Sonis, John B. Mulliken, Bonnie Padwa; and Dr Leonard Kaban at Massachusetts General Hospital. He completed this clinical Fellowship program over two years and concurrently completed a Master of Public Health Degree at Harvard University, graduating in 2009. Dr Siva is a member of the Australian Society of Orthodontists, American Association of Orthodontists, American Cleft Palate-Craniofacial Association, Australian Dental Association, European Orthodontic Society, and the Harvard Society for the Advancement of Orthodontics and the Tweed Edgewise Orthodontic Society. He is a Fellow of the World Federation of Orthodontists, and has completed examinations leading to being awarded a specialist diploma and Fellowship of the Royal College of Surgeons of Edinburgh. Dr Siva is the Chairman of the WA Regional Committee of the Royal Australasian College of Dental Surgeons. He is regularly invited to lecture at local, national, and international meetings. Dr Siva completed advanced training in orthodontic biomechanics in Europe with Professors Birte Melsen and Giorgio Fiorelli, and is an invited speaker at the inaugural World Orthodontics Biomechanics Symposium. Not only does Dr Siva have the educational qualifications to care for your family, he has the patience. As the Father of three young children, Chase, Stella, and Allegra, he is a master at making even his littlest patients feel at ease. Chase is a student at Christ Church Grammar School in Claremont, and Stella is studying at St. Hilda’s Anglican School for Girls in Mosman Park. Whilst his past recreational pursuits include competitive basketball, martial arts, and snowboarding, he spends much of his spare time with his wife and young family, and is involved in their sporting endeavours and school communities. Dr Siva enjoys running and has completed the Chicago, Boston, and Berlin Marathons.